If it has starch in it, you can make vodka out of it, and the humble potato is no exception. 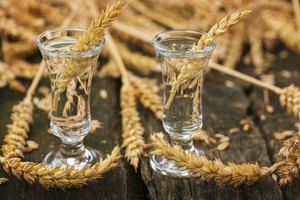 Although most vodka comes from fermented grains like wheat, rye or barley, potato vodka has a rich tradition, particularly in Poland. This potent spirit resembles grain vodka in most respects, but there are a few important differences. The distilling processes for grain and potato vodka are very similar. Beginning either with mashed potatoes or with a wort made of grain and water, the distiller adds enzymes and heat to break down the starches in the mixture and convert them to sugars. The resulting sugars ferment into alcohol, which is then distilled and filtered to concentrate it and remove impurities. 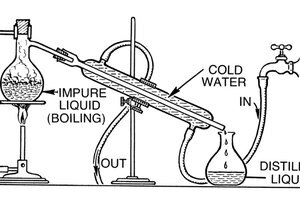 This produces a high-alcohol spirit which the distiller then dilutes to a drinkable strength. Vodka has few impurities -- and as a result, few major differences in flavor between types. The differences between any two grain vodkas are subtle, but vodka lovers can notice them, or at least claim to. The same is true for the differences between grain and potato vodka; although broadly similar, there are differences in mouthfeel and flavor. 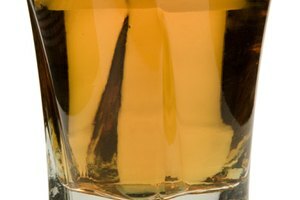 Grain vodka is typically "cleaner," while potato vodkas have a viscous, slightly oily or creamy texture. Like any other liquor, vodka varies greatly from country to country and distiller to distiller. There may well be differences between different grain vodkas or potato vodkas every bit as great as the difference between grain and potato vodka. Potato vodka is usually more expensive than its grain counterpart because of the large quantity of potatoes required to produce a similar amount of vodka. Smoother grain vodka is easy to pair with food, especially the traditional savory dishes of Poland or Russia. 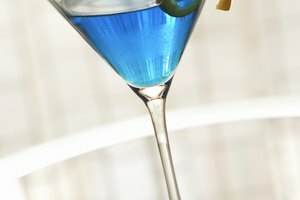 Despite the popularity of grain vodka, potato vodka does turn up in some cocktail recipes; in general, the subtle flavor of vodka is overpowered by other cocktail ingredients, making the difference slight.